It’s almost my birthday, which means that I’m bound to get some presents. 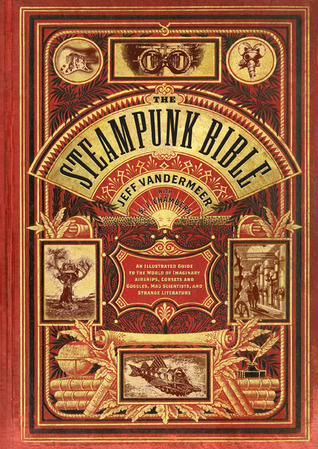 Presents are pretty cool, especially when one of them is the Steampunk Bible. As someone who both writes and enjoys steampunk, this was an excellent present from my mother. It’s hardcover, and it’s shiny, and the pages are crisp and glossy, and it’s really nice. There are excellent photos and descriptions as well. At first, my wife and I figured this isn’t the kind of book you read. This is the kind of book you leave out on your coffee table for glancing through, or for guests to look at, and to help explain just what the hell steampunk is. Although my family was still a little confused at this notion of steampunk. My grandmother thought it was something that you go see. Like a show. Which I suppose isn’t entirely inaccurate. Certainly there are tons of places to go see steampunk stuff. But I did my best to explain that it goes much, much deeper than that. Anyway, upon further inspection, I discovered that this book is very much worth actually reading. It’s got tons of little details and explanations and examples and historical things inside that are quite interesting. I considered myself to be pretty knowledgeable about the world of steampunk, but there is so much in here that I didn’t know, and I’m not even finished reading it yet. This book is certainly put together well, and I’m looking forward to seeing what else is inside. KINDLE SALE! All Books $0.99! It has been quite some time since I’ve had any sort of sale for my books, so I figured why not do it for all of them? 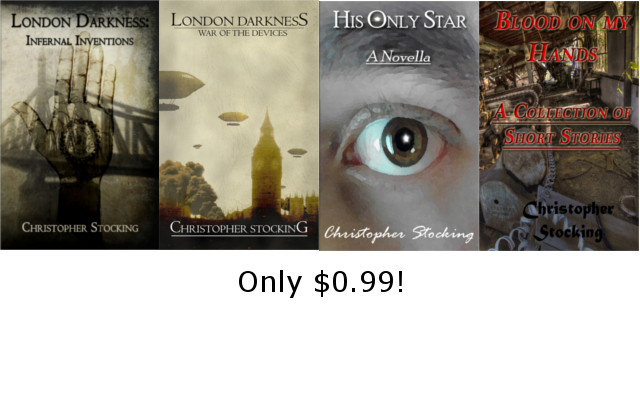 All the Kindle formats of my books are just $0.99, so don’t miss out! Does Bestselling Count If It’s Free? It was far too early in the morning to get a screenshot of Infernal Inventions as #1. So, here’s #2 instead! 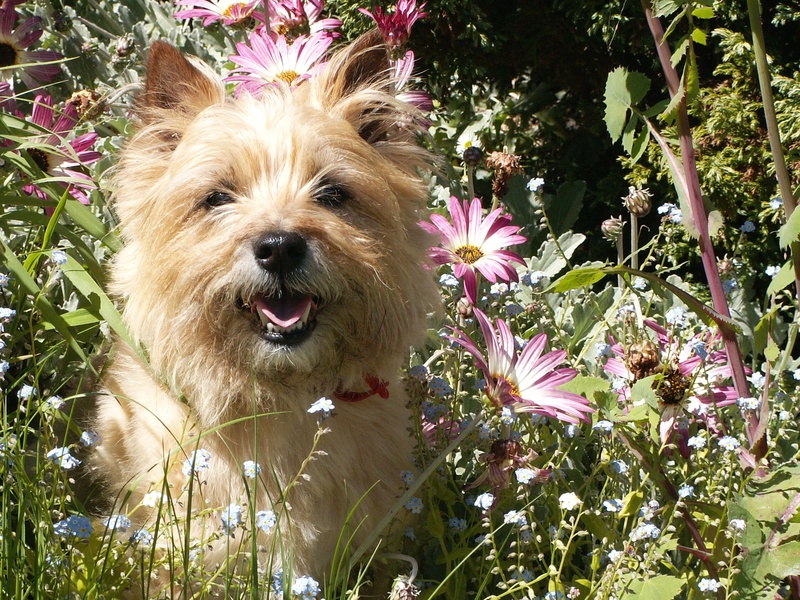 It didn’t take long for me to fall into my old blogging habit of… well… not blogging. Oh well. 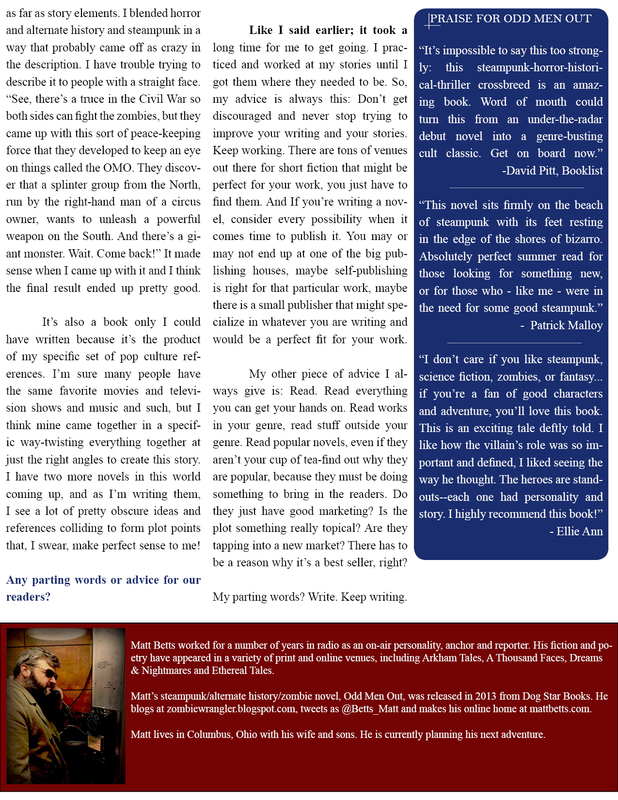 I’m a writer, not a blogger. I love you guys and girls, but I need to write some fiction! But I’ll be sure to keep you all in the loop. Anyway, speaking of keeping you all in the loop! 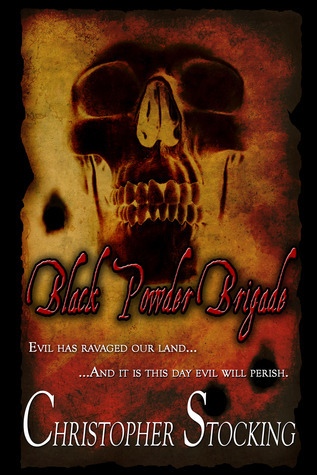 I published London Darkness: War of the Devices Saturday! Woohoo!! Go check it out! Yeah, I know, I spaced on blogging about it. But I’m a busy guy, what can I say? Also, because of the book release, I gave the first book in the series away for free on the Kindle. And, well, it blew up! To a certain extent, anyway. Close to 500 downloads, and it reached #15 on the free science-fiction adventure category on Amazon, and #1 in the free steampunk category! So I guess that makes me a bestselling author. A free bestselling author. Label it or not, it was pretty sweet. So now I’m back to work on London Darkness: Automaton Rising, book #3 in the London Darkness series. So, that’s what I’m off to do. Set some deadlines, write some words, fix up those words, sell those words, and drink some coffee. The promotion for His Only Star is over, and I’m beyond pleased. So many people shared the sale on Facebook, Google+, Twitter, Pinterest, and wherever else. More people than I expected. It’s amazing to know that I have so much support, and I would absolutely love to do something like this again. Which, actually, will be this weekend. 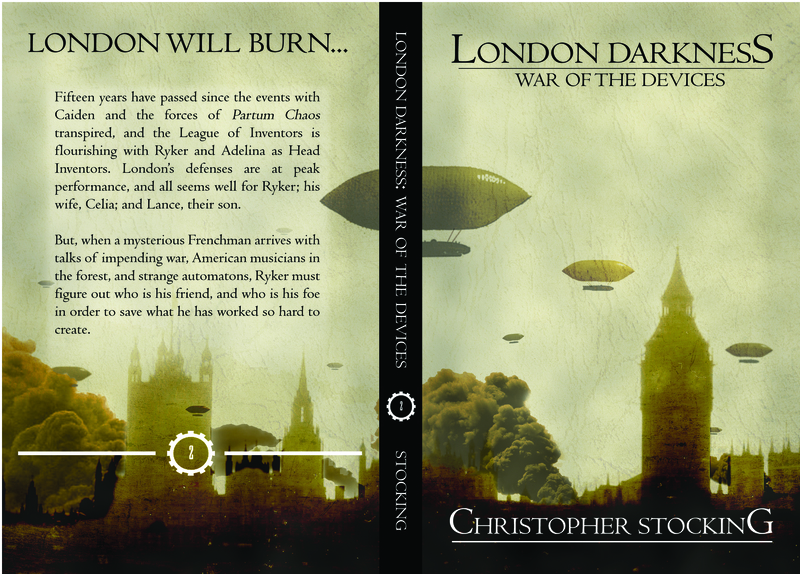 Where I’m at right now: The promotion is over, so I’m hoping to see some reviews come in, and now I’m working on going through the final edits of London Darkness: War of the Devices. War of the Devices is set to be out this Saturday, actually. 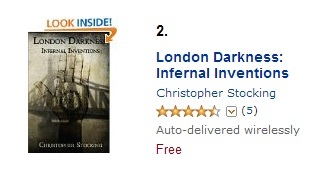 And, just for the occasion, the first book in the series, London Darkness: Infernal Inventions, will be free all day Saturday. So I’m really looking forward to seeing how that turns out. My goal was to reach 500 downloads, which I didn’t reach. But I’m really not worried about it. I ended with 202 downloads, and broke into 4 of the distribution channels offered by Amazon. It’s amazing to think that people in the U.S./India, Germany, Canada, and the U.K. have copies of my book! I never expected it to go international. Also, after seeing so many books ranked in the hundreds of thousands, and even millions, it was so great to see His Only Star ranked around 2,500 in the Free Fiction category. It was no best-seller, but it’s the highest rank any of my books have ever achieved! So, it’s safe to say that I’m beyond pleased with how everything turned out. It’s definitely a morale booster in a time where things like situations at my day job are bringing me down. Now I just hope things go as well with London Darkness: War of the Devices. Just a quick update today. School starts up next week, so I’ve been getting ready for that, along with doing some serious writing on my post-apocalyptic new adult novel. Yup, that’s right, novel. I’m 10,000 words in, and I can tell this is no longer going to be a novella. I’m very excited about that. Also, I bought Cherie Priest’s “Boneshaker,” Chuck Palahniuk’s “Fight Club,” And J. Elizabeth Hill’s “Bound.” “Bound” will be my first read by a self-published author. 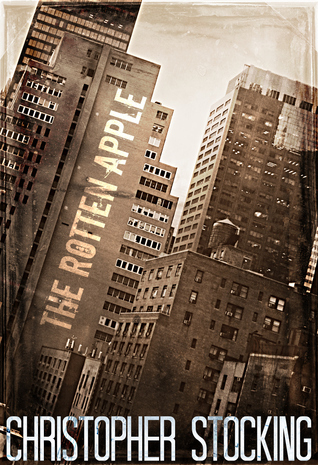 I need to start reading more indie/self-published works, seeing as how I’m a self-published author myself. What’s a book you’ve read lately to which you would give 5 stars? Can you recommend any indie/self-published books you really enjoyed? “London Darkness: War of the Devices” Cover Reveal! I have to say, it’s been an exciting few days for me. Yesterday, “His Only Star” went live in print, and for the Kindle, and now today I get to show you all the cover of “London Darkness: War of the Devices.” And, well, it’s great. Really great. I love it. And, it was free. That’s right! It was free! 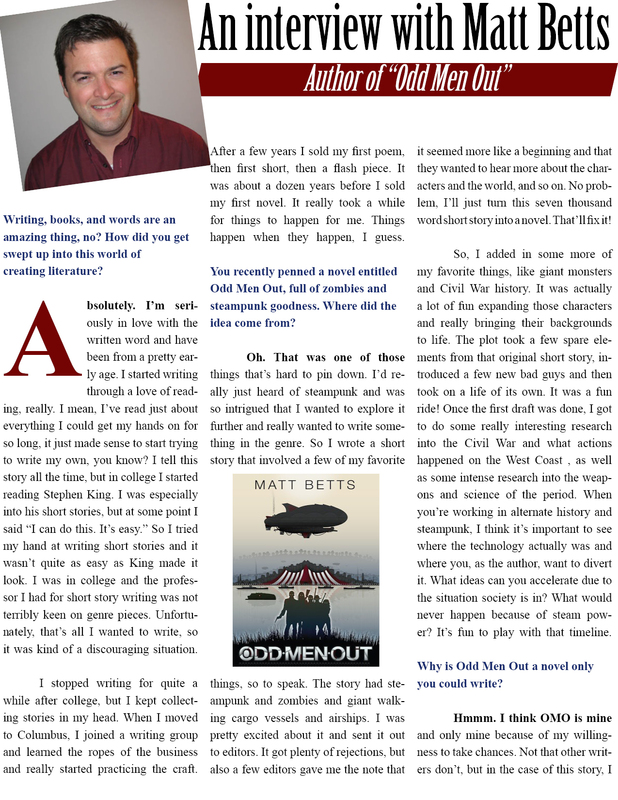 I entered a competition for Curiosity Quills Press; a bunch of amazing literary people who publish cool stuff. And I won a free copy of Bone Wires, by Michael Shean, and a free cover design, or blog header from Michael, seeing as how he’s a graphic artist. What do you think? Looks like Ryker may have his hands full in this next book!